Vegan Italian Recipes. Lasagna, Vegan Meatballs, Vodka Sauce, Pesto, Bolognese, Cauliflower Alfredo, Pasta, Ravioli. Dairy-free. Gluten-free. Soy-free. Plant-based. 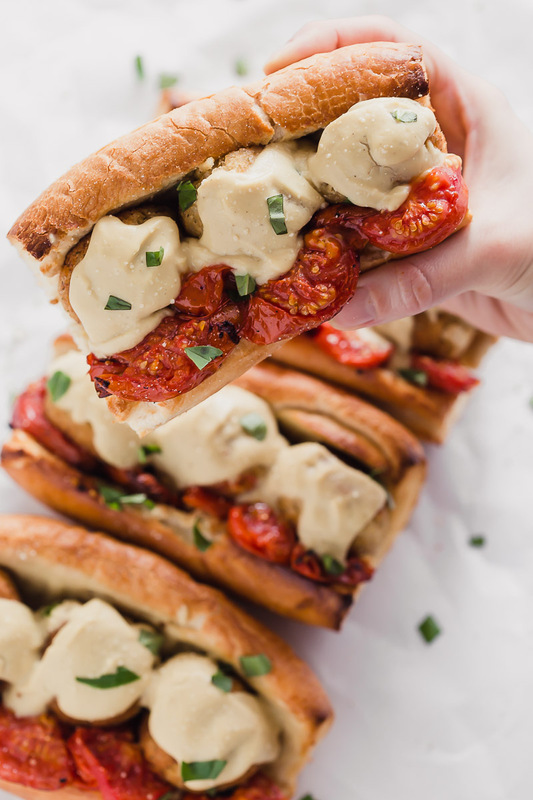 This Vegan Meatball Sub recipe is sure to bring a smile to your face on the first bite. Whether you call it a hero, grinder, sub, or hoagie – you won’t be disappointed tasting this delicious, wholesome sandwich. 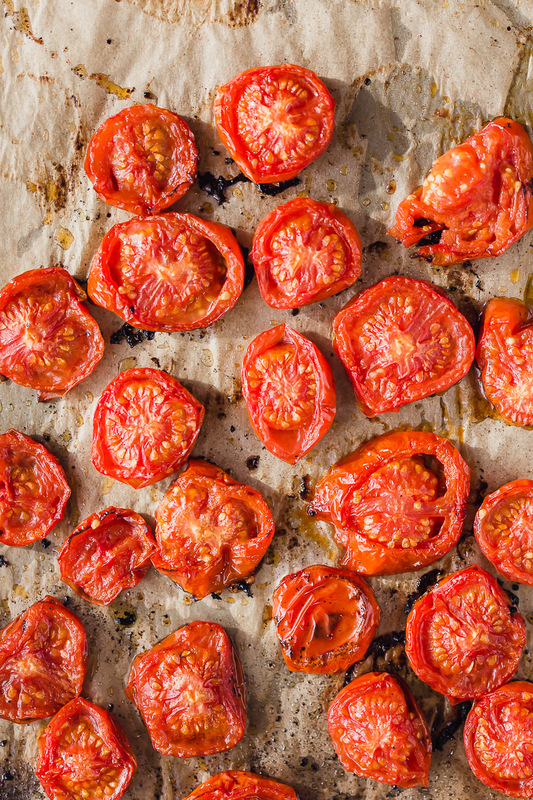 This recipe for Roasted Campari Tomatoes is incredibly easy to make and bursting with flavor. 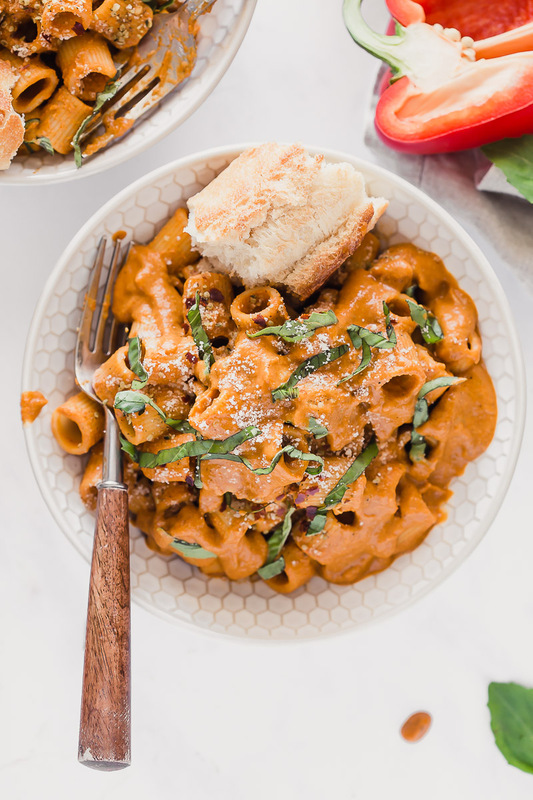 This recipe takes fresh campari tomatoes to a whole new level. Juicy, bright red, tangy and unbelievably fresh. This recipe for VEGAN meatballs is made with a mixture of cauliflower, brown rice, breadcrumbs, and variety of herby and warming Italian spices. 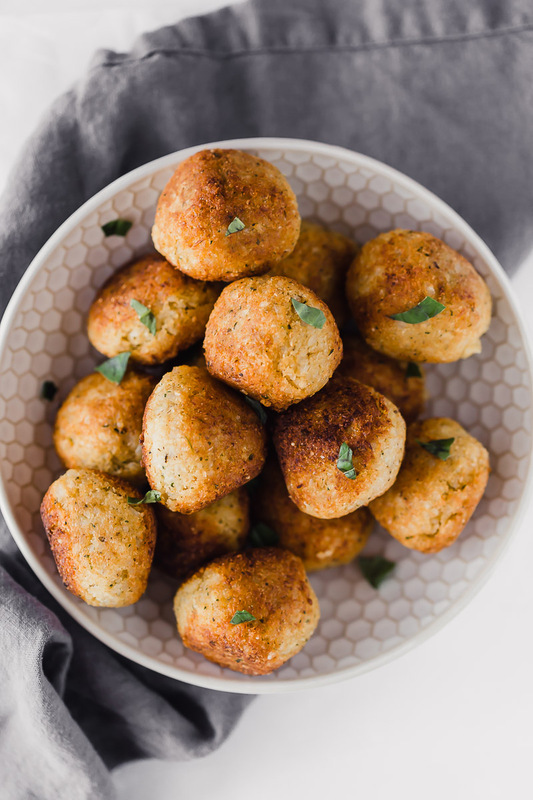 We included options to either bake or fry the “meatballs” but we highly recommend frying it because the flavor profile is so much more amazing and delicious. The outside of the balls sizzle in the vegetable oil, getting crispy and golden brown while leaving the inside soft and tender.